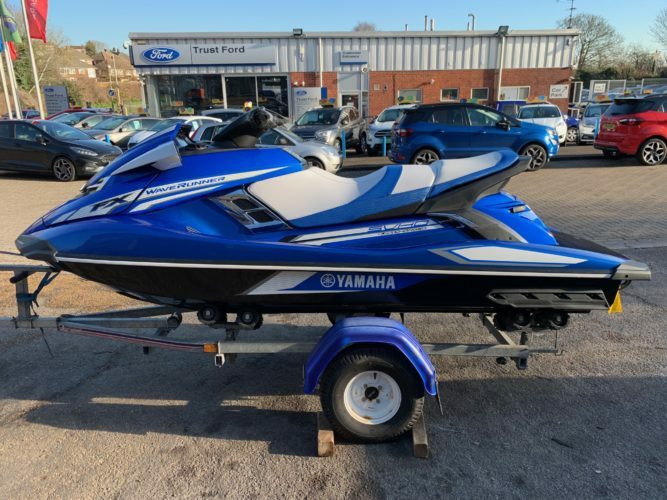 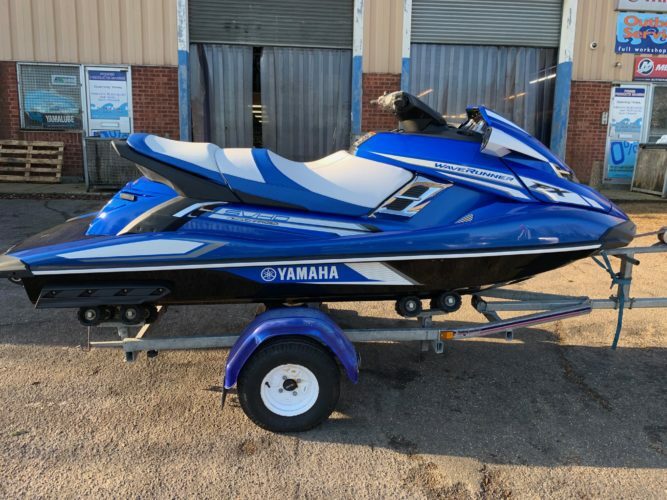 Used Yamaha FX SVHO 2017 in Azure blue metallic with 69 hours with warranty till 10/5/19. 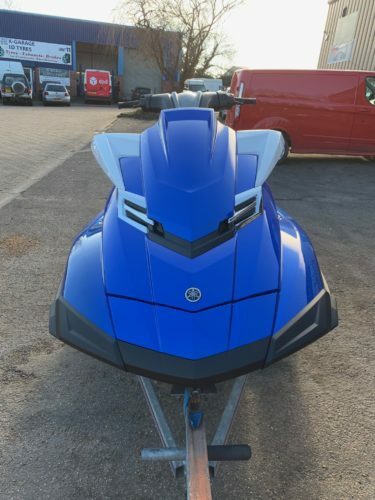 Comes on an indespension trailer. 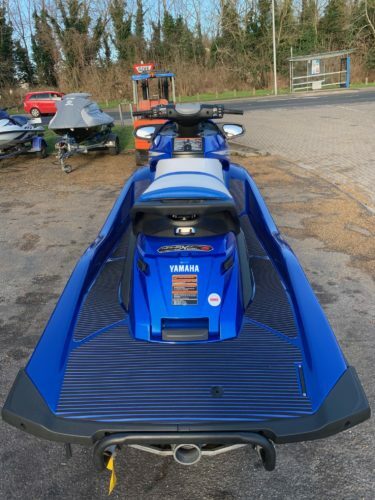 The FX SVHO comes with lots of features including Yamaha RiDE control which is a brake and reverse all at the finger tips, electronic trim control, Cruise control, adjustable steering, re-boarding step, dual mirrors and a towing eye.